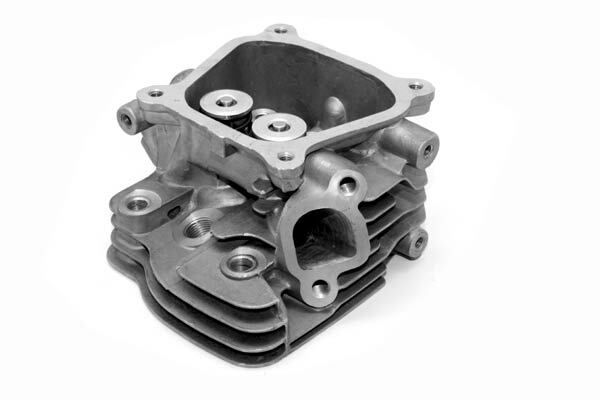 GT-RACE Cylinder Head Complete suit GX160 & GX200 Clone or GX200(including CPR engines). The GT-Race Big Valve GX160 head will substantially increase your horsepower by up to 25% depending on existing modifications. That means you'll improve a 14hp engine up to nearly 18hp with the right setup! 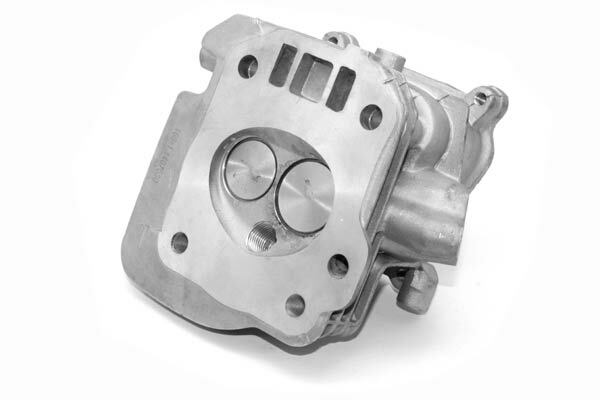 With 28.5mm intake valve and a 25mm exhaust valve you'll get substantially improved flow, leading to improved performance. This is coupled with our GT-RACE 3 angle valve cut provides unrivalled performance advantage over standard valve seats. 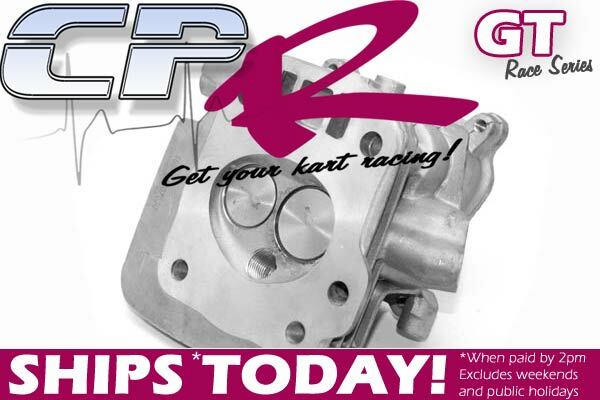 Maximum RPM can be achieved using these special 36lb valve springs suiting all cams up to 275. With 0.025" milling the GT-RACE performance head will provide 13.1:1 compression using thin style head gaskets (such as the GHLA01) and 11.1:1 using a thicker stock fibre style head gasket..
CPR's new GT-RACE series selects our performance components to suit competitive racing go-karts for track competition purposes. Uncompromising quality at the most affordable price. Make no mistake though, CPR GT-RACE products are premium quality.